Homepage of the Student Technology Center’s new website. 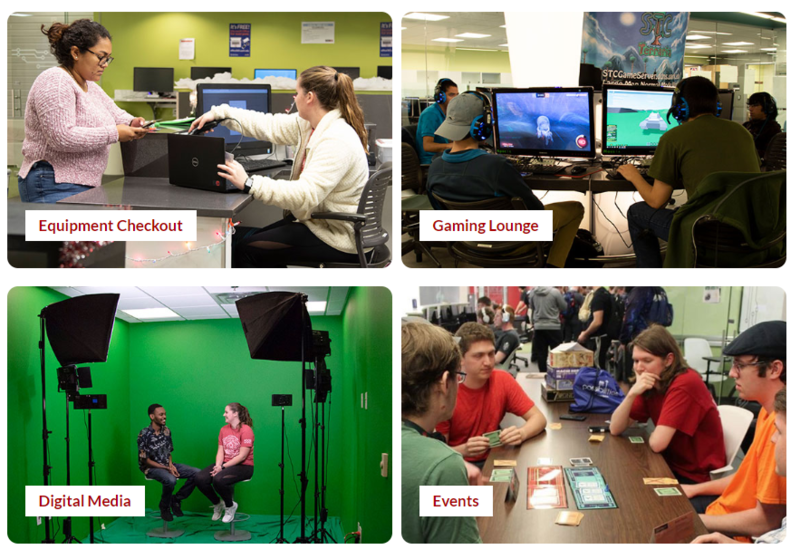 The university’s Student Technology Center website recently had a facelift. The new website provides the campus community with easy-to-find contact information, features, hours and equipment checkout. It also highlights new tech center offerings, such as virtual reality headsets, a plotter printer, a green room and more. Improvements to the site include updated policies on late fees and equipment checkouts, user-friendly navigation, and a new area to feature upcoming events. Completed as a collaborative effort between tech center staff and the IT Services communication team, the Student Technology Center website is now hosted in OmniUpdate (OU), which is the U of A’s web platform for official websites. OU offers advanced web development yet is easy to use. The web content can be managed by student employees at the Student Technology Center. Deidra Payne, an employee at the tech center, contributed to the website’s improvements. The Student Technology Center is open six days a week and is located on the third floor of the Arkansas Union, near the food court. The facility features a digital media lab, project workstations, a gaming lounge with the latest generation of consoles, equipment checkouts, recording studios and a green screen room for video and streaming. Copyright © WebMastersEdge.net All rights reserved. | Magazine 7 by AF themes.